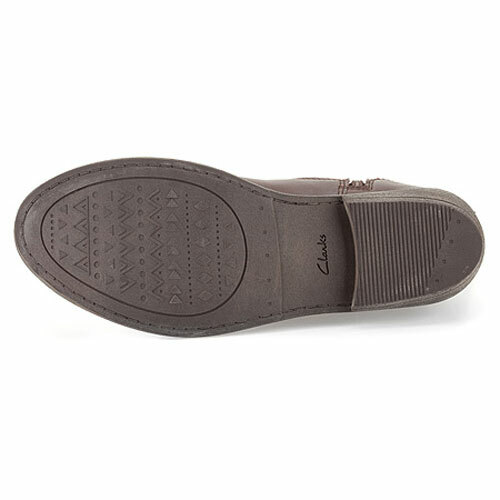 Shoes For Kids | Clarks kids shoes from Shoes For Kids. Clarks childrens shoes plus Startrite, Buckle My Shoe, Chipmunks, Dinosoles, Macadam, Richter & many other branded children's, boys, girls, baby & toddler shoes. Order online – delivered to your door worldwide! 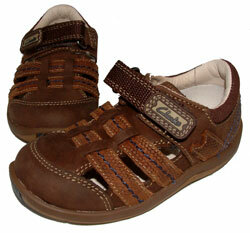 We offer a wide variety of quality girls shoes at affordable prices. Please make a selection from the menu, or click the button below to view our full range of products. 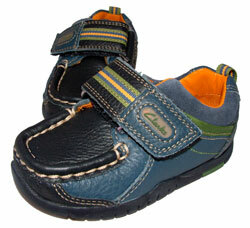 We offer a wide variety of quality boys shoes at affordable prices. Take a look at our Our Brands page for more information about our fantastic products! We offer a wide variety of designer shoe brands at affordable prices. Feedback From Our Happy Customers! 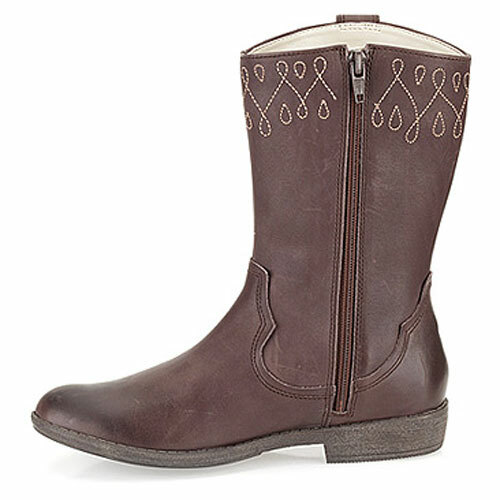 Slip on the brown leather Clarks Biddie Dress girl’s boots for a western-inspired look that’s right on point. 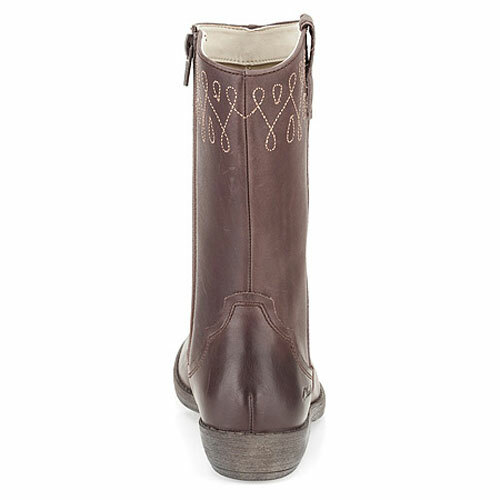 In rich brown leathers with swirly stitched details trimming the top, these smart and stylish boots are effortlessly teamed with everything from denim to dresses. Fastening with a full-length zip to the inside, they are easy to pull on and off quickly. Sitting on a low heel with a resilient rubber sole underfoot, the Clarks Biddie Dress Boots are perfect for autumnal walks and wanders. Questions about this product? We're happy to help! Click here to contact us with your enquiry. 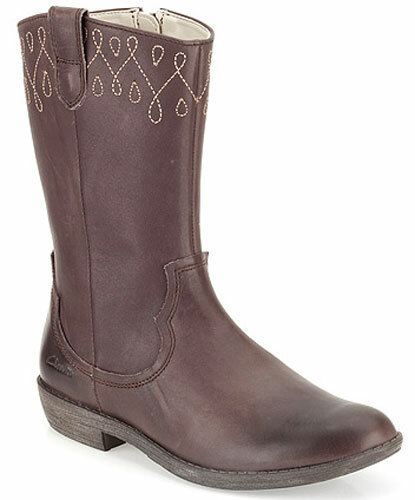 In rich brown leathers with swirly stitched details trimming the top, these smart and stylish boots are effortlessly teamed with everything from denim to dresses. Fastening with a full-length zip to the inside, they are easy to pull on and off quickly. Sitting on a low heel with a resilient rubber sole underfoot, the Clarks BiddieDress Boots are perfect for autumnal walks and wanders. Join the Shoesforkids VIP Club today to receive exclusive discounts and offers - and be the first to know about new product arrivals! Follow us online to keep up to date with our latest offers and product new arrivals!